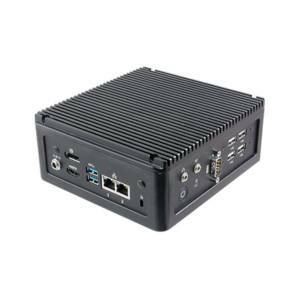 At the core of the VMS-BYT vehicle computers is the Intel® Atom E3845 SoC which is clocked at 1.91 GHz with a TDP of only 10W. Due to the four cores and the 2MB L2 cache the performance is still excellent. The CPU supports a maximum of 8GB of DDR3L 1333 MHz memory, ECC memoery is also supported, in total there are two memory slots. 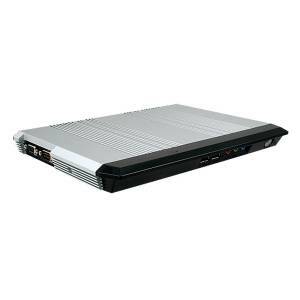 Graphic computing is handled by the integrated Intel HD graphics for Intel® Atom processors which clocks in at 524 MHz and supports the Intel® Quick-Sync-Video technology. This technology accelerates image processing and CAD software for example. Thanks to the high performance of the Intel HD graphics the device can be connected to two independent displays at the same time using a VGA and a LVDS connector. The sound output is handled by the trusted ALC892 audio controller which offers two mic-in and two line-out. Vehicle Computers require a few specific connectors, all of them are available in this device. Furthermore, the device features DC-Out, 8-bit GPIO, CFast, two GbE ports, two USB 2.0 and a USB 3.0 port. If WiFi connectivity is required and a card is installed up to five antennas can be attached using the antenna holes. 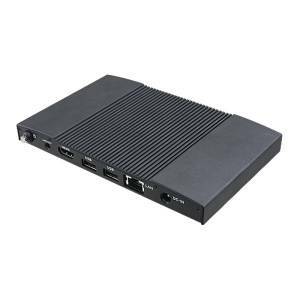 The device can be upgraded with an 80-pin IET interface, Bluetooth and CANbus, additionaly two mini-PCIe slots can be used for upgrading. 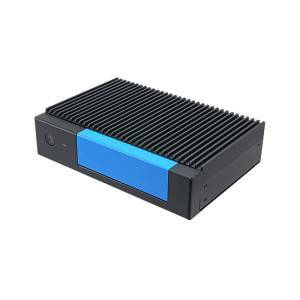 The CFast card or a 2,5” SATA drive can hold the OS and user data. The latter fits into the 2,5” slot, we recommend using industrial flash storage from Innodisk. An optional wall mount kit can be acquired. The extended operating temperature between -40o and +85oC is safe for this device to operate in.